Discovery is South Africa’s largest medical scheme. At first, the scheme started as a small medical aid serving the South African market. But such was the need for its services that, two decades later Discovery has grown into a multifaceted financial services organisation. Today it is the largest medical scheme servicing the South African market. And it now also operates across four continents. Significantly, South Africa’s largest medical scheme offers products in the health and wellness and financial security sectors, to nearly 6 million customers. The Discovery promise is to make people healthier and enhance and protect their lives. And they do this through their comprehensive suite of health and financial products. Importantly, the Discovery medical aid has been awarded an AA+ rating on its claims paying ability from Global Credit Ratings. Discovery has also developed a healthcare infrastructure available for all South Africans comprising emergency helicopters, supported by ground staff. Known as Discovery Medicopters, they provide medical support and air evacuation in critical cases and operate from Johannesburg, Cape Town and Durban. 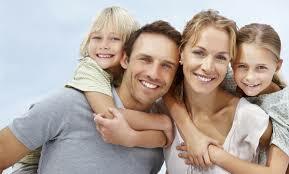 Discovery health medical aid plans are offered by Discovery Health and feature a range of cover. The medical aid plans range from the Executive Plan, at the top end of the scale, to Discovery KeyCare. The Discovery Executive, Comprehensive, Priority and Saver Series all provide in and out of hospital cover. This includes unlimited private hospital cover and, in the case of the Executive Plan, private ward cover. Guaranteed full cover is provided through all these plans for in hospital treatment by specialists on a payment arrangement. Cover for other specialists not on a payment arrangement ranges from 300% to 100% of the Discovery Health Rate. This depends on the plan. Full cover is provided for chronic medication for all Chronic Disease List conditions, plus, in the Executive and Comprehensive series, for some additional chronic conditions. An annual savings account covers day-to-day medical expenses, with the highest savings account offered by the Discovery Executive Plan, followed by the Comprehensive Plans. In addition, apart from the Savings Series, the plans offer above-threshold additional cover when the Medical Savings Account runs out, with this cover being unlimited in the Executive and Comprehensive plans. The Discovery medical aid plans also offer additional cover for various services. So depending on the plan, this can include GP consultation fees, preferred medicine, blood tests, maternity costs and some durable external medical items. The Executive and Comprehensive Plans offer access to specialists and advanced medical care in South Africa and abroad. All the plans also provide cover for medical emergencies when travelling. The Discovery medical aid Core Series provides in-hospital and chronic mediation cover. On the other hand, the KeyCare Series is the most affordable cover from Discovery. 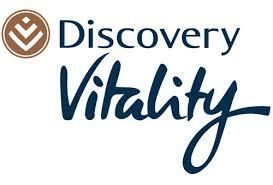 Discovery Vitality is a wellness programme that encourages people to live a healthy lifestyle. And membership of Discovery Vitality makes you eligible for discounts across a range of Discovery health partners. Discovery Vitality points are earned by doing various health assessments. But members must then follow a healthy lifestyle such as in food choices, weight management and non-smoking and adopting an active lifestyle by regularly exercising.